Security experts and the IRS, including tax industry and state tax authorities, cautioned tax professionals to be on the alert for tax season cybercriminals that are helping fuel a dramatic uptick in reports of taxpayer data thefts from tax practitioner offices. 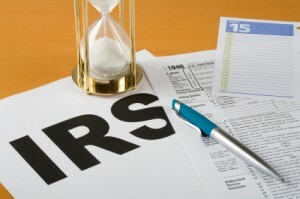 The IRS has seen a 60% increase in the current year of data theft from tax professionals. The IRS and those same security experts are urging tax professionals to immediately improve their cybersecurity defenses to protect against downloading malware through illigitimate emails. The tactic, known as a “spear phishing” amongst professional security experts, is a common tool used by cybercriminals. The IRS is referring to this phishing scam as the “New Client” scam. Specifically, a “New Client” emails an accountant/tax practitioner about a tax issue, attaching documents to the message that they claim is an IRS notice or prior-year tax information. Once the indiviaual clicks on the documents, a malware is opened allowing cybercriminals to infiltrate and steal the practitioner’s taxpayer information. The “New Client” cyberscam is used to spear phish a target of one or more tax preparers in a firm and sends an email implying trusted sources, such as the IRS, e-Services, a tax software provider or a cloud storage company. An example of an email may look like: “I just moved here from Michigan. I have an urgent Tax issue and I was hoping you could help,” begins the email. “I hope you are taking on new clients.” The email includes one attachment as an IRS notice, while another may be the prospective client’s prior-year tax return. (Both are malware.) The IRS explained that this example of the scam has a number of variations. This filing season, the IRS has seen a dramatic increase in the number of reported thefts of taxpayer data from practitioners’ offices. In January and February, 75 firms reported taxpayer data thefts, representing nearly a 60 percent increase from the first two months of last year. Agents noted that while the “New Client” scam has contributed to this increase, much of the increase is still coming the “erroneous refund scheme,” a scam that affected thousands of taxpayers and numerous practitioners earlier this season. The IRS pointed out that the period from January through April, tax preparers’ busy season, represents prime time for cybercriminals to attack the unprepared. Tax pros should be on high alert and put in place robust security measures as tax season reaches a peak with the April 17 deadline approaching soon. Criminals try to take advantage of this busy time of year when tax pros are in more contact with clients, rushed for time and thus maybe a little more prone to carelessness. They emphasized, however, that cybercriminals can strike at any time of the year as their only objective is to get a hold of the data maintained by the practitioner.